damage, but fluid chain attacks are deadly. against metal armor or tough scales. 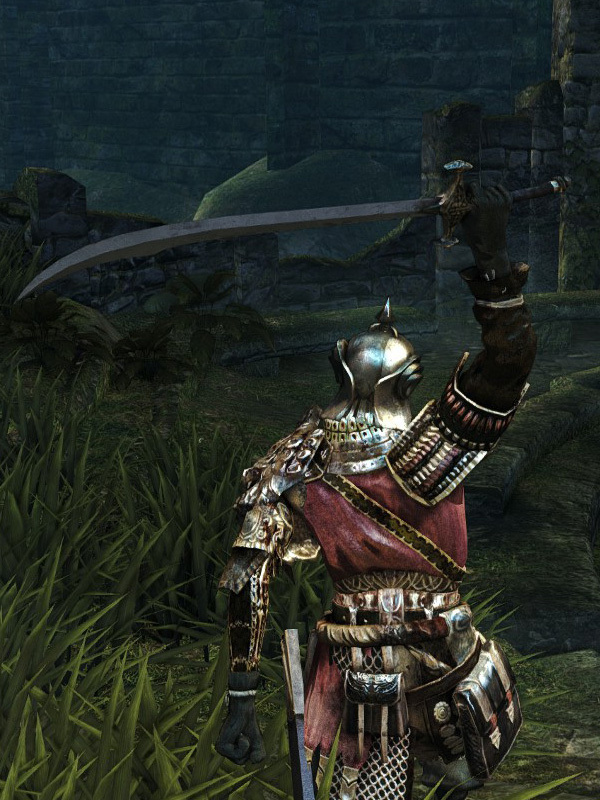 When wielded by skeletons, the Scimitar will cause bleed build-up upon hit. Weapon durability reduced to 16. Base damage increased. Cannot repair weapon (except through reinforcement). 5% STR, 33% DEX, 70% FAI scaling. Additional damage multiplier against unholy enemies. 5% STR, 31% DEX, 82% FAI scaling. Additional damage multiplier against unholy enemies.